Enhance Systems Private Limited is an eLearning company based in New Delhi, India, and has been engaged in providing customized eLearning solutions for over 16 years. We have effectively used instructional design theories and principles to develop a variety of compelling eLearning courses which include complex eLearning simulations, interactive flash-based CBT modules and simple ILT courses covering a wide range of industries like Banking and Finance, FMCG, Telecommunications and IT. Read about complex cases for which we were able to design perfect solutions in the case studies section. Fuelled by our commitment to provide superior cost-effective solutions, we have developed a low-cost Learning Management System (LMS), a breakthrough product which has evolved in several companies including Hindustan Unilever Ltd, ICICI Bank, Xerox and IIT Delhi. 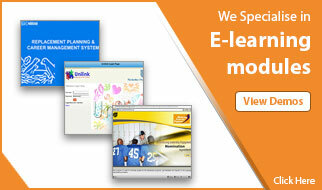 We are passionate about designing eLearning solutions which suit the unique business needs of our customers. We like to go the extra mile in understanding and analysing every need so that we can provide solutions that translate into enhanced performance and business results for our customers. Our requirement-focused and customer-centric approach has earned us many awards and accolades.